My baby (6’1″) turned 14 today. When I asked what kind of cake he wanted, he asked for blueberry muffins. Since it was for his birthday, I wanted to make something extra special. 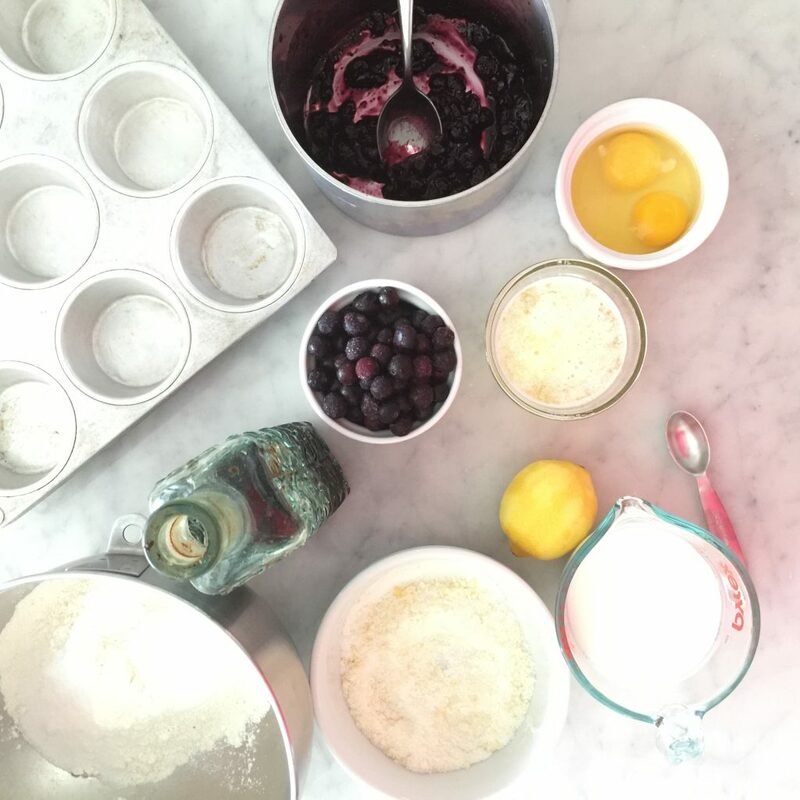 I’ve made dozens of blueberry muffins over the past 30 years. Same old , same old . These are different. 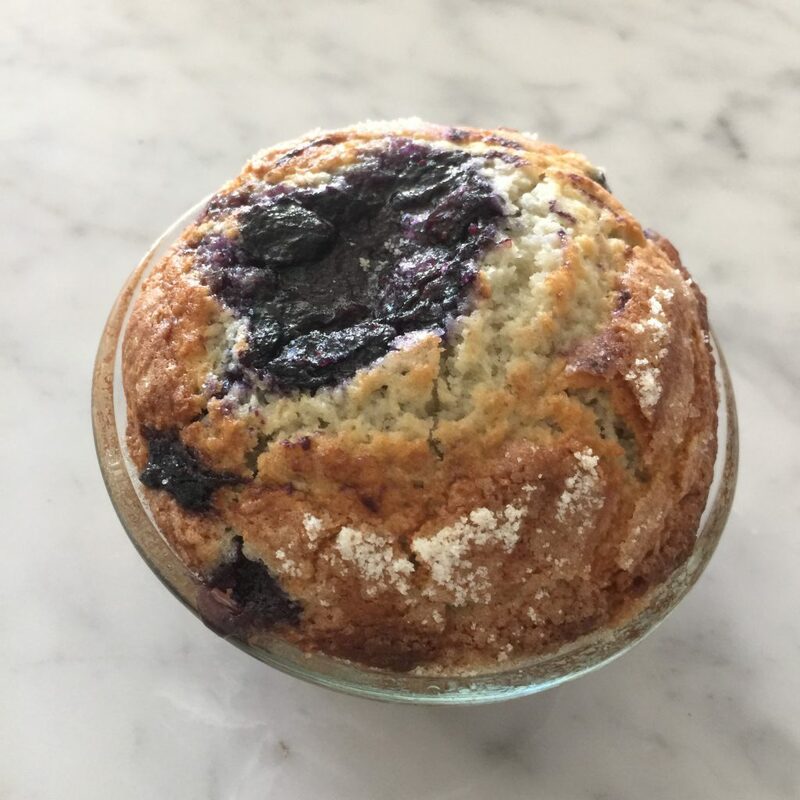 Here’s what sets them apart: Home-made blueberry “jam” on top of the muffin. Seriously yummy. Top that with sugar and a heavy dose of fresh lemon zest. Muffins fit for a birthday treat! Happy bday Jake. Love, your Mother. FOR TOPPING: Stir together sugar and lemon zest in small bowl until combined; set aside. FOR MUFFINS: Adjust oven rack to upper-middle position and heat oven to 425 degrees. Spray standard muffin tin with nonstick cooking spray. Bring 1 cup blueberries and 1 teaspoon sugar to simmer in small saucepan over medium heat. Cook, mashing berries with spoon several times and stirring frequently, until berries have broken down and mixture is thickened and reduced to ¼ cup, about 6 minutes. Transfer to small bowl and cool to room temperature, 10 to 15 minutes. 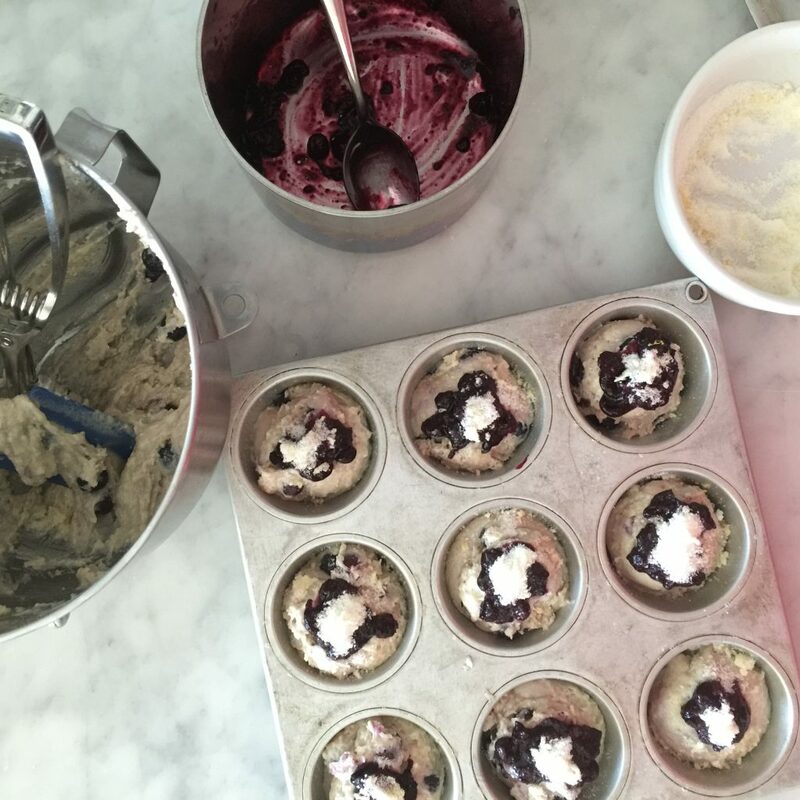 Use ice cream scoop or large spoon to divide batter equally among prepared muffin cups (batter should completely fill cups and mound slightly). Spoon teaspoon of cooked berry mixture into center of each mound of batter. Using small spoon, gently swirl berry filling into batter. Sprinkle lemon sugar evenly over muffins. -*If buttermilk is unavailable, substitute 3/4 cup plain whole-milk or low-fat yogurt thinned with 1/4 cup milk. Also, I have experimented with 3/4 cup buttermilk and like the results, the batter holds the blueberry topping better so it doesn’t cause the muffin top to collapse quite as much! -Best when eaten warm or with in 12 hours of baking. -This recipe makes 12 large beautifully shaped muffins. FOR MUFFINS: Adjust oven rack to upper-middle position and heat oven to 425 degrees. Spray standard muffin tin with nonstick cooking spray. Bring 1 cup blueberries and 1 teaspoon sugar to simmer in small saucepan over medium heat. Cook mashing berries with spoon several times and stirring frequently, until berries have broken down and mixture is thickened and reduced to ¼ cup, about 6 minutes. Transfer to small bowl and cool to room temperature, 10 to 15 minutes. Use ice cream scoop or large spoon to divide batter equally among prepared muffin cups batter should completely fill cups and mound slightly. Spoon teaspoon of cooked berry mixture into center of each mound of batter. Using small spoon, gently swirl berry filling into batter. Sprinkle lemon sugar evenly over muffins. Bake until muffin tops are golden and just firm 17 to 19 minutes, rotating muffin tin from front to back halfway through baking time. Cool muffins in muffin tin for 5 minutes, then transfer to wire rack and cool 5 minutes before serving. -*If buttermilk is unavailable, substitute 3/4 cup plain whole-milk or plain yogurt thinned with 1/4 cup milk. Also, I have experimented with 3/4 cup buttermilk and like the results, the batter holds the blueberry topping better so it doesn't cause the muffin top to collapse quite as much! -I mixed all of the dry ingredients in a bowl, then mixed the wet ingredients together, and folded the dry into the wet ingredients. Then folded in the blueberries. -Best when eaten warm or with in 12 hours of baking. -This recipe makes 12 large beautifully shaped muffins. Those muffins look like they've been baked professionally! I wish I had one for tomorrow's breakfast! I'm taking a trip to the blueberry farm this week, and these will be the first thing I make with them! They really do look like an exceptional muffin! These for sure look good enough as dessert for me! Si, These look like they could be sitting at the front of the case in a fancy upscale bakery. I would pay good money for these. They are beautiful. Yum! They definitely look like the best! can you tell me which issue of CI it is from? I may have it — was it from an old one? This is an America's Test Kitchen recipe. They made them this past weekend. Oh wow. I love the addition of jam. Yummy! Isn't it amazing how using buttermilk makes such a difference in baking. I use it more than ever lately. Thanks. 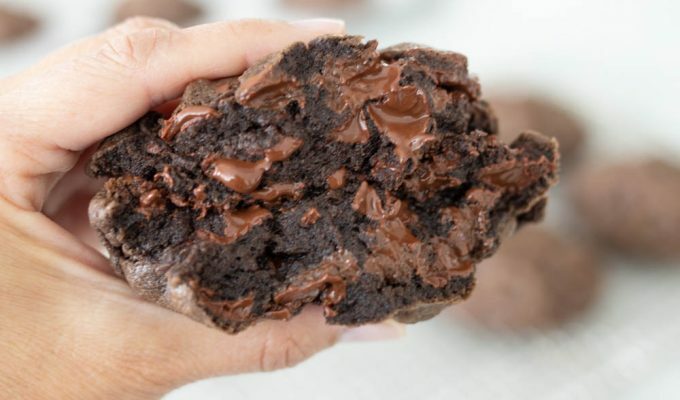 I just wanted you to know that I made these and they are the best I've ever made or eaten! Thanks for sharing!! thanks for all of your comments- it's great to hear feedback! The Hungry Artist asked what issue, I believe it was May/June 2009. Happy cooking! I made these tonight, and they are seriously the best blueberry muffins ever. My hubby and I agreed that we have never tasted a better muffin at any bakery or anywhere. They really look just like the picture, too, so you feel great passing them out because they're so pretty. The lemon sugar is a must. 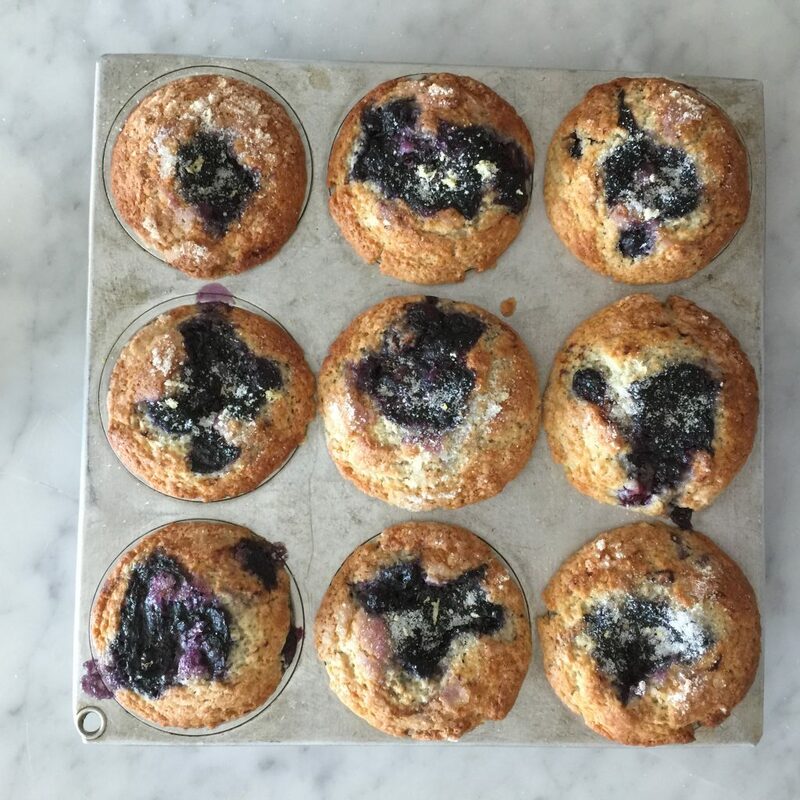 i made these and took some to a friend, who later told me, "those were the world's best blueberry muffins!" guess the name is right on:) we absolutely loved them!! I made these into bread and gave them to a neighbor. He proclaimed it was the best bread ever also. Good work. Yes frozen berries work just as well as fresh. Make sure to use them right out of the freezer-do not thaw first. These truly are the best blueberry muffins EVER!! I’ve made them several times. Today I used frozen wild blueberries and they are just as good as when I use fresh blueberries. Also, I make my own buttermilk with milk and vinegar and it works great. 5 stars for these babies!